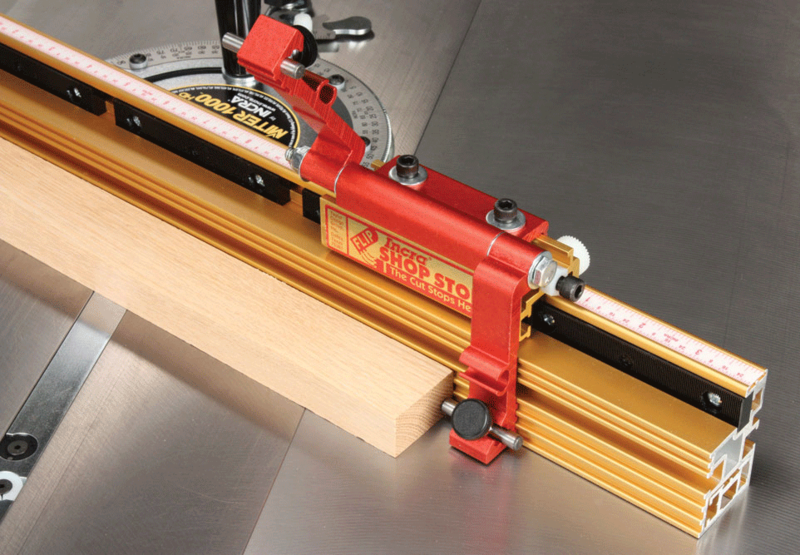 The Mitre 5000 blends the incremental angle control features of the Mitre 3000SE with a very special 3-panel Sled for the ultimate mitre cutting workstation for the table saw. 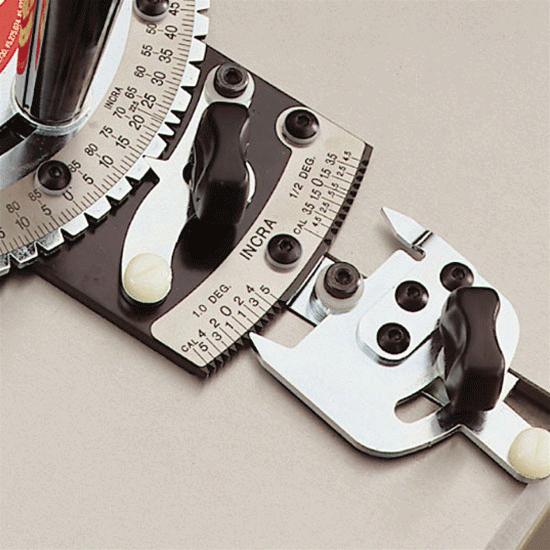 Now in FULL METRIC out of the box! 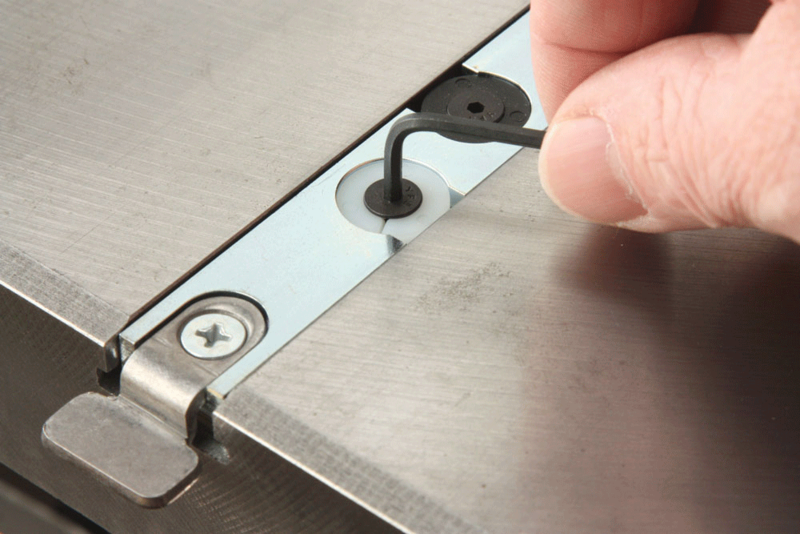 A Renewable Right Panel provides zero-clearance tear-out control and cut-off support on Both sides of the blade. 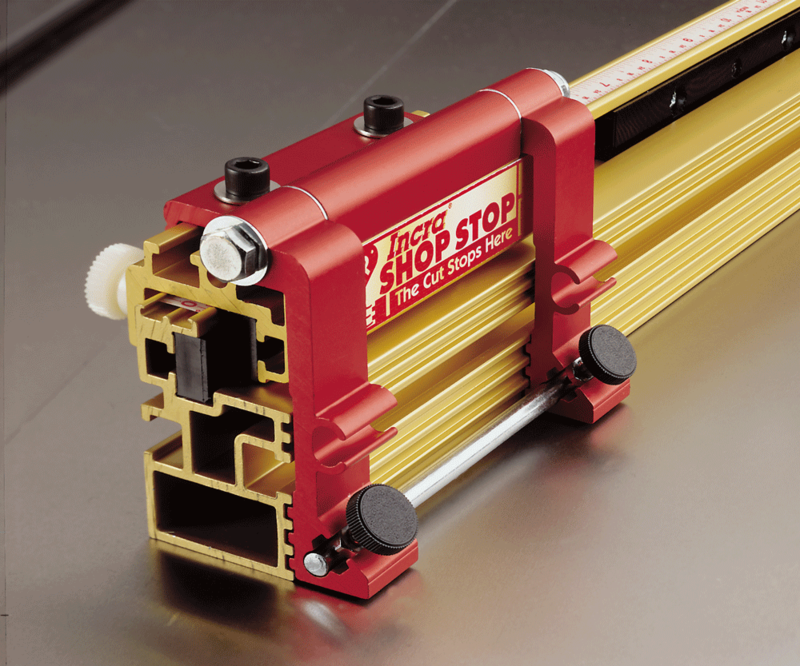 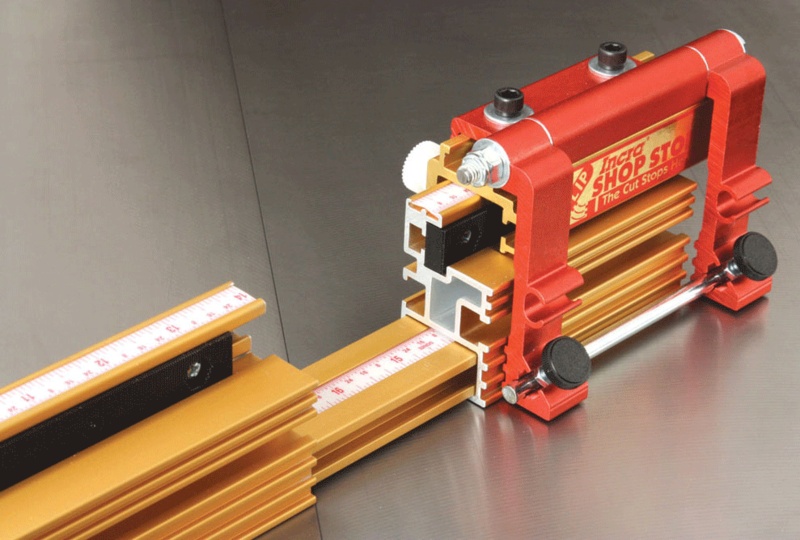 Two aluminum T-tracks are embedded in the MDF panel top to secure an included work piece hold-down clamp and to provide absolute rigid support for the 915mm (36") to 1626mm (64") telescoping IncraLOCK Cut-off Fence. 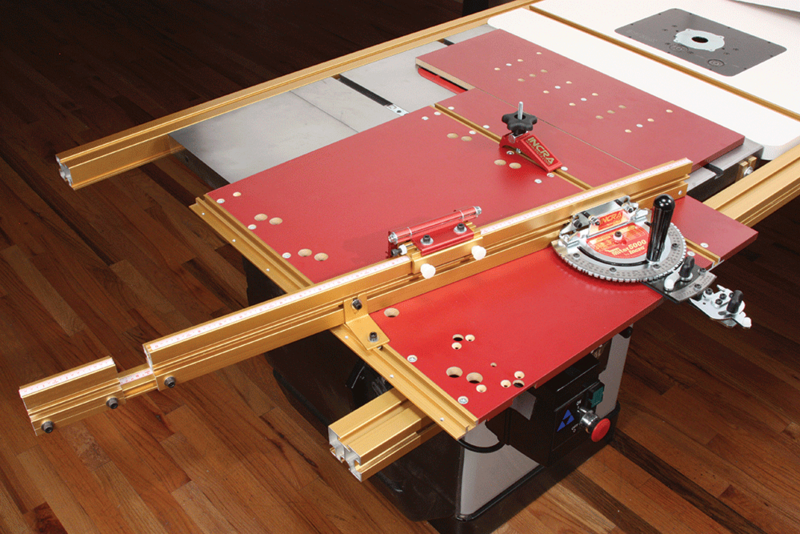 Will crosscut a 635mm (25") wide board with full control on a standard 250mm (10") table saw. 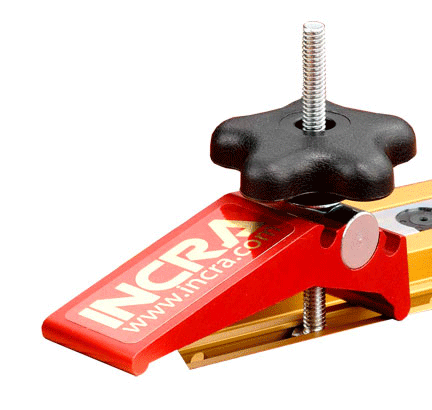 The Mitre 5000 by INCRA delivers perfect, repeatable accuracy. 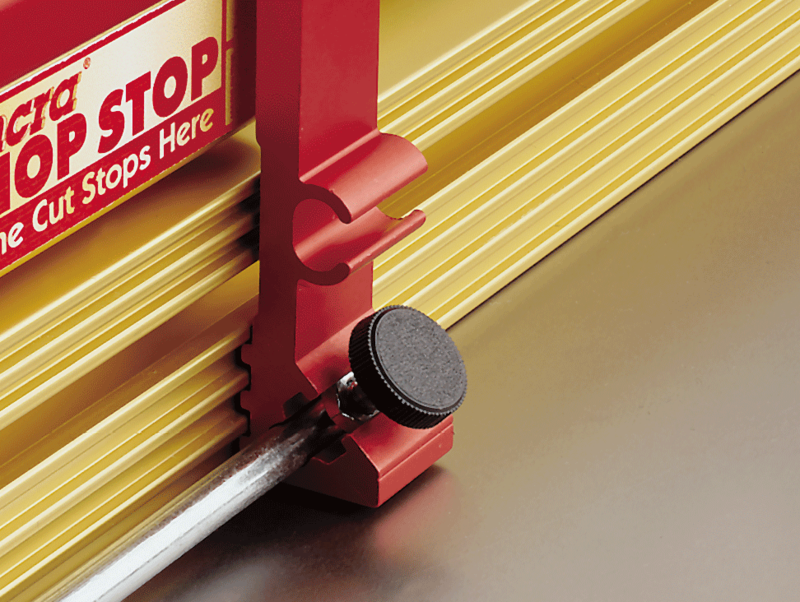 SAFETY NOTE: The following videos show the use of the Incra Mitre 5000 without appropriate guarding, this is not reccommended under any circumstance.